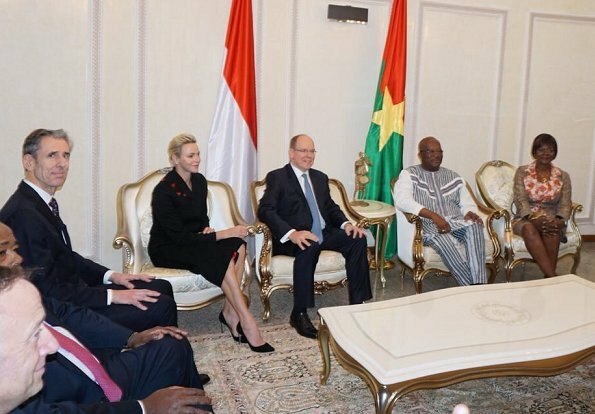 Prince Albert of Monaco and Princess Charlene of Monaco currently make a two day working visit to Burkina Faso. 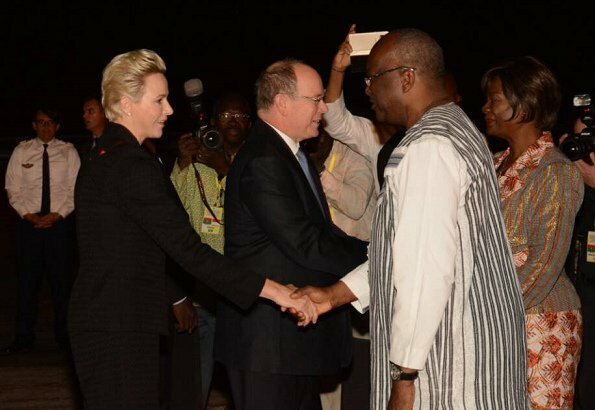 Yesterday evening, Prince Albert and Princess Charlene arrived in Ouagadougou, the capital of Burkina Faso. 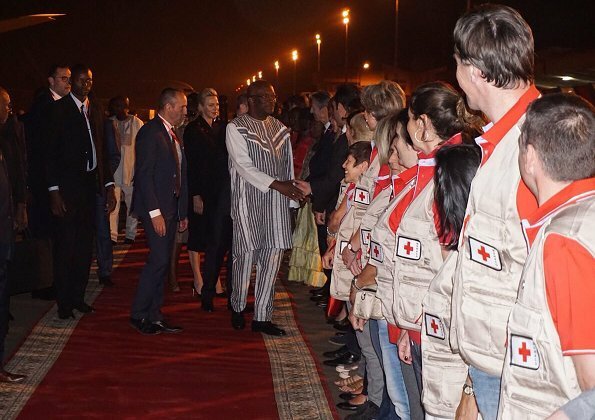 The Prince and the Princess were welcomed by President Roch Marc Christian Kaboré of Burkina Faso and his wife Sika Bella Kaboré at Ouagadougou airport. 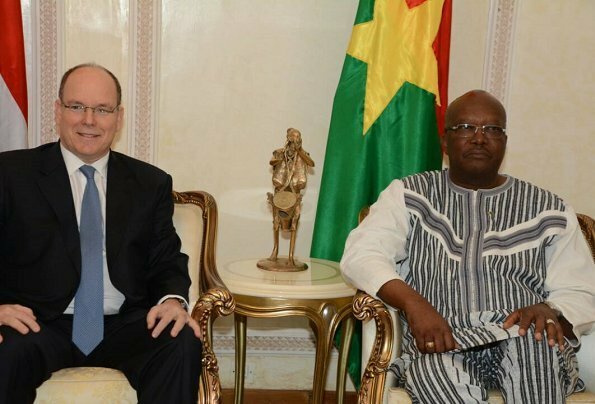 The visit is made for the purpose of supporting health, social activities, education and training and microeconomics activities. Not a fan of her hairstyle. Very masculine. I don't like her hairstyle. Not much style, just brushed back.